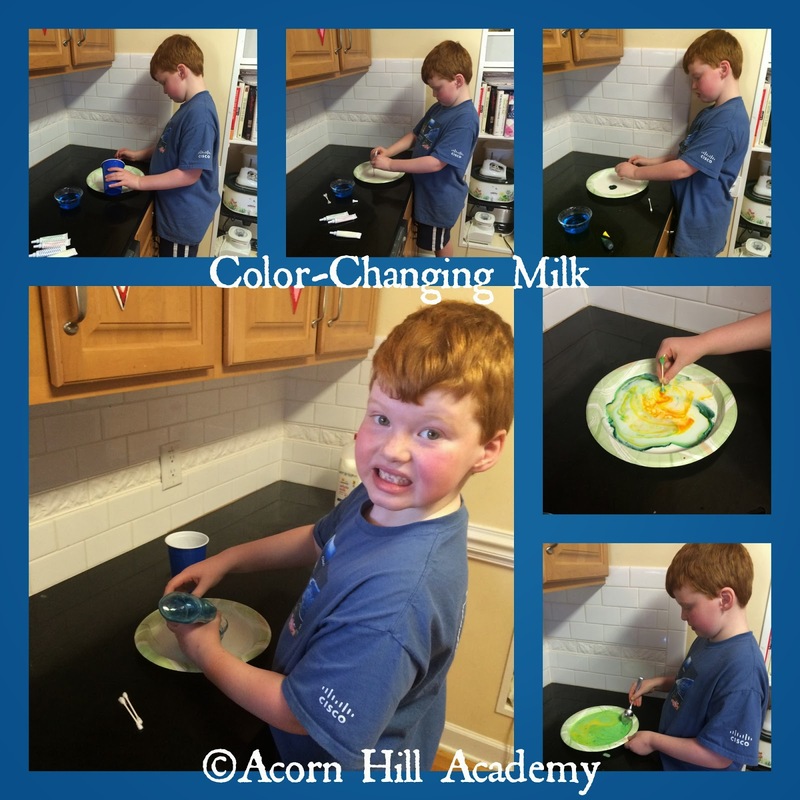 My little man, who is currently 6 years of age, loves to do "experiments." If I don't have an actual science activity for him to do, he makes up his own. That can get messy. 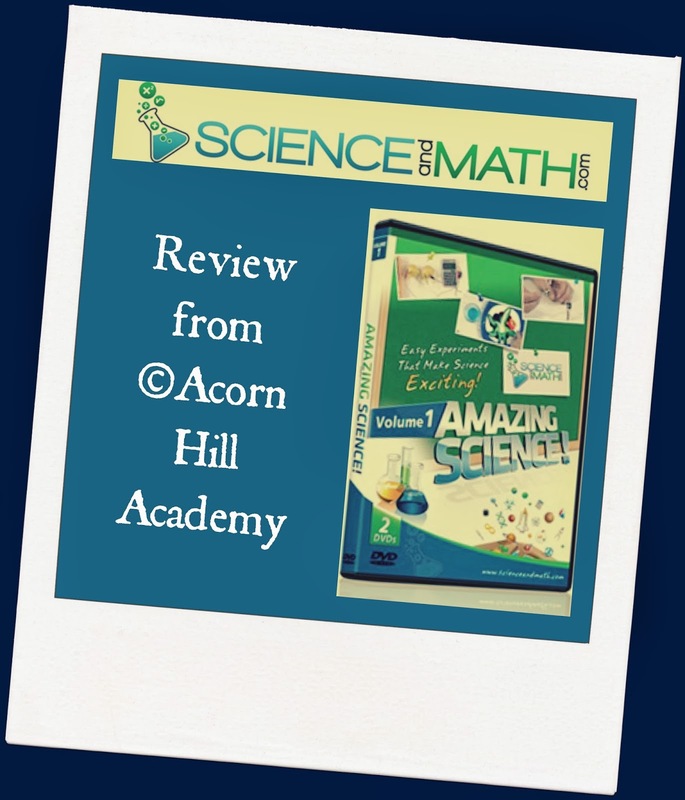 I'm not the greatest at coming up with experiments, to be honest, so I was delighted to have the chance to review Amazing Science, Vol. 1 from ScienceandMath.com. I received a physical copy of the 2-DVD set to review. There are 23 different videos, covering such topics as electricity, magnetism, heat, and more. This DVD set is aimed at grades 1-3, but these science experiments are great for any age, really. I hadn't done most of them before, and I enjoyed them quite as much as my son! He would get the DVD and pop it in every day, to see what we were going to do next. Mr. Jason Gibson is the scientist who presents the experiments. He has degrees in physics and electrical engineering, and was actually a rocket scientist for NASA! In each video, Mr. Gibson gives the materials list, shows the complete experiment, and explains the science behind what you're doing. I had to laugh at Isaac; he had no interest whatsoever in the explanations and really just wanted to get on with the cool part. I, on the other hand, learned a lot and had a great time! The next experiment we did was "Egg in a Bottle." My husband was home to help with this one, which is always fun. We lit the matches, dropped them in the jar, placed the hard-boiled egg on top, and watched it squish itself right down into the bottle, even though it clearly did NOT fit through the mouth of the bottle before dropping the matches in there. 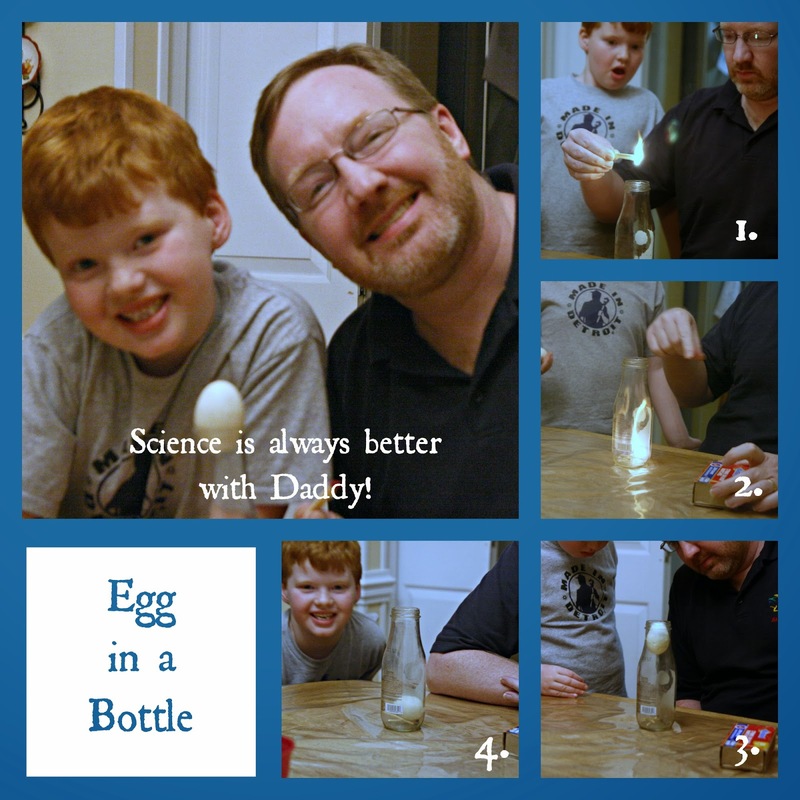 We actually did this experiment several times, because my science-loving husband knew if he blew really hard into the bottle, he would reverse the process and force the egg back out. We have done it again since, too, which has resulted in us getting to eat a lot of deviled eggs, because I'm not going to boil just one egg at a time! 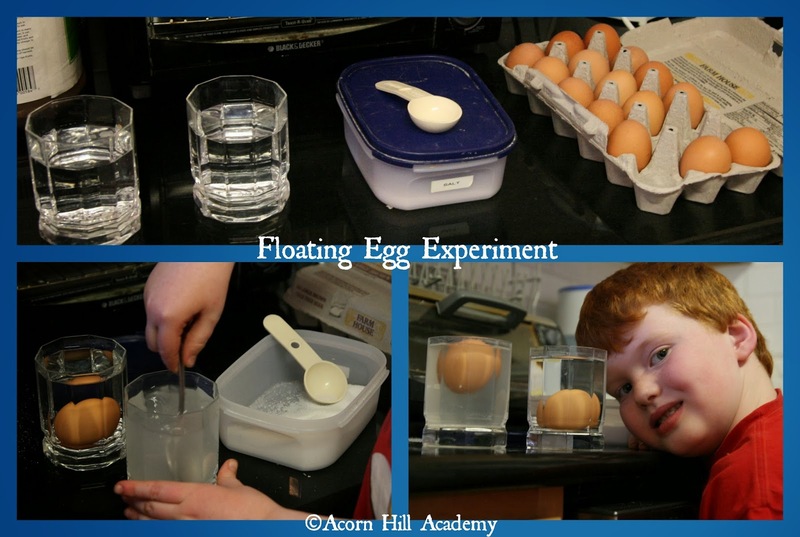 Another fun one was the "Floating Egg" experiment. This one was so simple, and yet did a great job illustrating buoyancy. Mr. Gibson explained how the salt dissolved in one glass didn't really go away, so the water in there weighed more. Because it weighed more, there was a stronger buoyant force pushing back against the egg, so it was able to float. Simple, but fascinating! The experiments shown on these DVDs are my idea of fun, living science. You get to see how the experiments work, with clear, simple explanations. I watched the videos with Isaac, but in the future, I might set them up for him, let him run them (with help as necessary), and have him narrate what happens. Then, we can watch the videos and hear the explanations. The supplies you need are readily available, and if you don't have them at home you can find them easily. It's fun to go through the experiments sequentially on the DVDs, but you could also use the DVDs as a resource and pull out experiments to go along with whatever science program you're using. My girls enjoyed doing these experiments with us, and they are old enough (12 and 13) to do the experiments on their own and keep a science journal with the steps and results. My girls were able to do these with my little man, too, and they all enjoyed that. I could see this being a great resource for co-op situations, as well. Amazing Science Vol. 1 is available from ScienceandMath.com for $17.95, and as a digital download for $14.99.